“Our aim is not to be the largest, but the most beautiful and ethical hair care brand in the world.” These are words – said by the Davines owner Davide Bollati – and are the best definition for this Italian brand. Why do hair stylists love cosmetics from Davines? Why is roucou oil the key ingredient in their products? Davines cosmetics from the beginning were designed for hair salons. Only after few years since the creation of the brand was released cosmetic line for skin of face and body for professional SPAs. 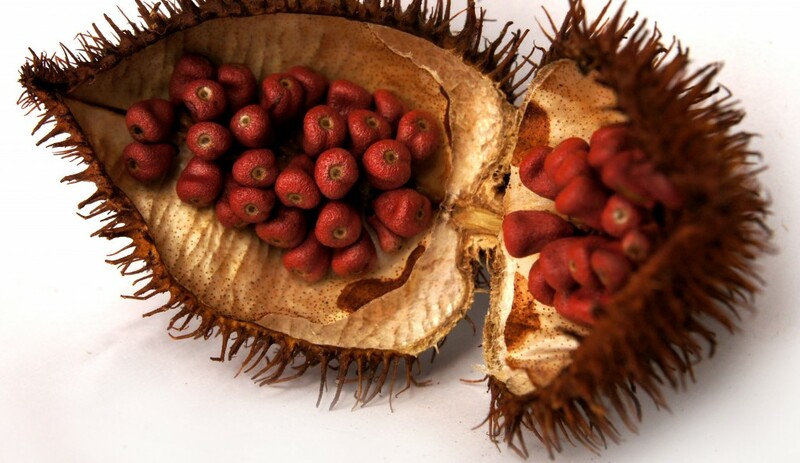 In all of the cosmetic an important role has roucou oil obtained from Achiote. However, it all started with hair and we dedicate below products comparison to them. The most popular hair cosmetics line is Davines OI. Its success is based most of all on the ingredient uncommon for other hair care products. What are we talking about? The secret ingredient is roucou oil – not yet very popular, but with interesting properties. Davines uses roucou oil in six of its hair cosmetics. Why is roucou among the propositions from Davines? Well, roucou oil is a key ingredient of all the hair cosmetics for a good reason. Natural roucou oil is obtained from the Amazon tree called Bixa Orellana, which is also know as Annato. This plant contains greater amount of beta-carotene than carrots. On top of that, the oil contains vitamins and ellagic acid. makes hair elastic and eliminates effects of ageing on hair.